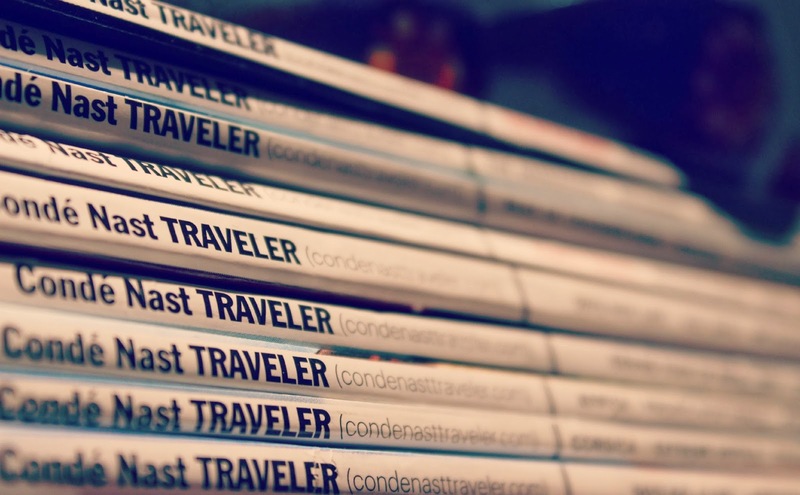 You're right, a coffee table full of adventure can't be a bad thing! I love AFAR...I always buy that one in airports! 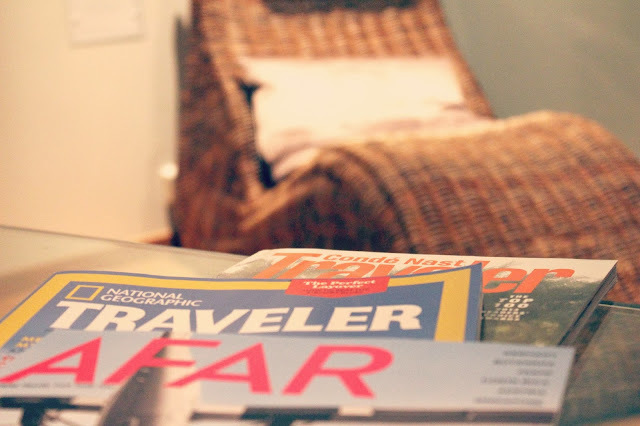 I'm a fan of Travel & Leisure, actually I think it's my favorite one out of all the travel mags. I get them all at the moment, but I'm thinking of not renewing a couple of them. I LOVE this as a gift idea. I have been wanting to subscribe to Afar for a while now- I love reading their online stuff! 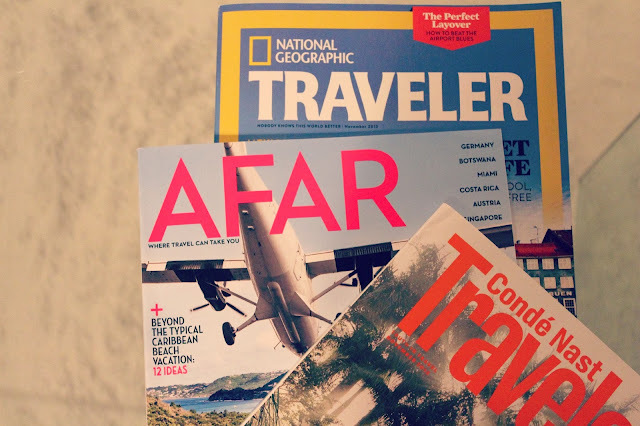 i would love to get the Afar magazine! i may just have to keep that in mind for when we're in the states. weird question, is the photo from the front of the Afar magazine, from st. barts? there's an amazing little airport there where they practically land right on the beach and can stand under the planes as they land. we have one of my favorite travel photos we have that is from there! Afar sounds really good. I used to get Conde Nast, but it's not really mu style. I want to see less luxury travel and more sightseeing plus the everyday vibe if places. oh I am having a hard time typing on my phone! pardon the mistakes.